"In Bloom" is a song by American rock band Nirvana. Written by frontman Kurt Cobain, the song addresses people outside of the underground music community who did not understand the band's message. 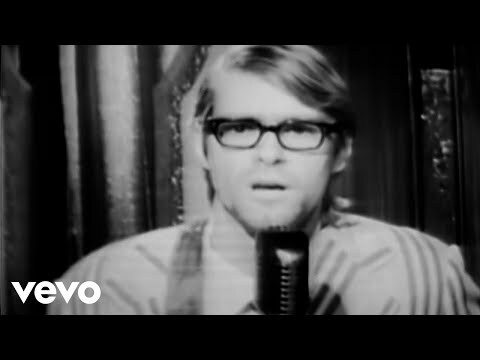 Nirvana made its first music video for an early version of "In Bloom" in 1990; however the song did not appear on a commercial release until the release of the group's second album, Nevermind, in 1991. "In Bloom" became the fourth and final single from the album in late 1992. It was accompanied by a new music video which parodied musical performances of 1960s variety shows. The music video for "In Bloom" won Best Alternative Video at the MTV Video Music Awards in 1993. Nirvana first played the song the night before it was demoed. Bassist Krist Novoselic recalled that it "originally sounded like a Bad Brains song. Then Kurt turned it into a pop song". Cobain went home and reworked the song, playing the revised version of it over the phone to Novoselic. The band recorded "In Bloom" with producer Butch Vig at Smart Studios in Madison, Wisconsin during April 1990. The material recorded at Smart Studios was intended for the group's second album for the independent record label Sub Pop. The song originally had a bridge section that Vig removed. Novoselic said that after the band recorded the song, Vig cut out the bridge from the 16-track master tape with a razor blade and threw it in the garbage. The songs from these sessions were placed on a demo tape that circulated amongst the music industry, generating interest in the group among major record labels. After signing to DGC Records, Nirvana began recording its second album Nevermind in May 1991. "In Bloom" was one of the first songs the band recorded during the album sessions at Sound City Studios in Van Nuys, California; Vig thought it would be good to start recording a song previously recorded at Smart Studios. The arrangements for "In Bloom" and the other songs previously recorded with Vig in 1990 were largely unchanged; the recently hired drummer Dave Grohl stayed mostly with what his predecessor Chad Channing had recorded, but added more power and precision to the recording. Cobain sang progressively "harder" during the recording of the song, which made it difficult for Vig to balance the volume levels between the verses and choruses. Vig recalled that he had to change the input level "on the fly" and hoped that Cobain would not "change the phrasing or do something different" while recording. Cobain chose not to overdub a harmony vocal part during the Smart Studios sessions, possibly due to time constraints. During the Nevermind sessions, Vig had Grohl sing harmonies on the song. Grohl had difficulty hitting the proper notes, but ultimately was able to sing what Vig wanted. Vig often had to trick Cobain, who was averse to performing multiple takes, into recording additional takes for overdubs on the record. The producer convinced Cobain to double-track his vocals on "In Bloom" by telling him, "John Lennon did it." After doubling Cobain's vocals, Vig decided he might as well double Grohl's and had the drummer record an additional track of backing harmonies. Like many Nirvana songs, "In Bloom" shifts back and forth between quiet verses and loud choruses. Cobain uses a Mesa Boogie guitar amplifier for the verses, and during the chorus he switches to a Fender Bassman amp (suggested by Vig) for a heavier, double-tracked fuzztone sound. The rhythm section of Novoselic and Grohl kept its parts simple; Grohl stated it was "an unspoken rule" to avoid unnecessary drum fills, while Novoselic said he felt his role was about "serving the song". During the choruses, vocalist Cobain and drummer Grohl harmonize while singing "He's the one/Who likes all our pretty songs/And he likes to sing along/And he likes to shoot his gun/But he knows not what it means". The song's intro reappears at the end of each chorus. Cobain's lyrics address the people outside of the underground music scene that began showing up at Nirvana shows after the release of the group's debut album Bleach. Nirvana biographer Michael Azerrad wrote, "But remarkably, translated even better to the mass popularity the band enjoyed." Regarding the song's chorus, Azerrad commented, "The brilliant irony is that the tune is so catchy that millions of people actually do sing along to it." In his biography of Cobain, Heavier Than Heaven, Charles R. Cross asserted that the song was a "thinly disguised portrait" of Cobain's friend Dylan Carlson.